1. ‘Hotel Mumbai’ recounts the 2008 siege of the iconic Taj Hotel by a group of terrorists in Mumbai, India. 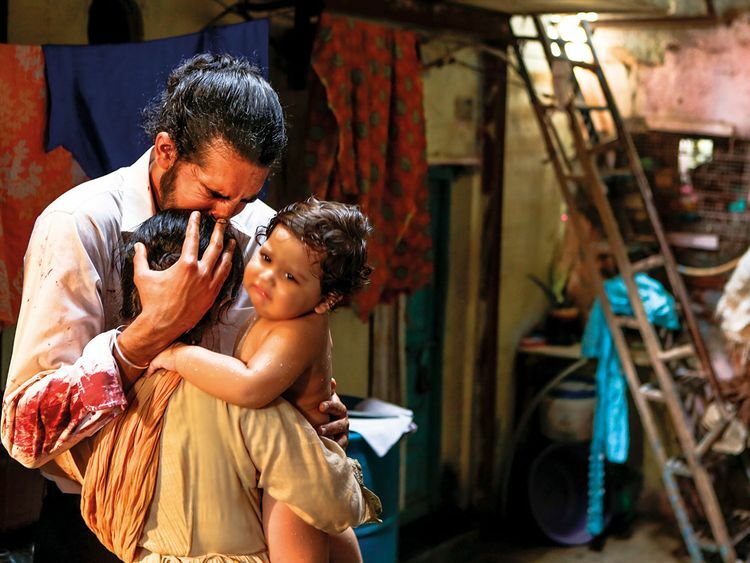 From November 26 to 29, extremists from Pakistan orchestrated a series of debilitating terror attacks across Mumbai, throwing the city into chaos. During the three-day standoff, terrorists seized the Taj Mahal Palace Hotel with over 500 guests and employees trapped inside. It’s a gripping tale of how humanity shone through a carnage that saw more than 170 people from more than a dozen countries murdered. 2. The terrorism thriller boasts an eclectic set of talents, including Anupam Kher who plays chef Hemant Oberoi; Dev Patel as the valiant waiter; and Armie Hammer of ‘Call Me By Your Name’ fame. Iranian-British actress Nazanin Boniadi (‘How I Met Your Mother’, ‘Scandal’ and ‘Homeland’) plays the wealthy guest, while Jason Isaacs (‘Star Trek’ and ‘Harry Potter’) plays a narcissistic Russian billionaire. The casting was spot on, judging by the reactions during the press screening in Dubai earlier this month. There wasn’t a dry eye in the house as you watch the chilling events unfold. Patel was superb in his role of Arjun, a sensitive, humane Sikh waiter with strong work ethics, while Boniadi and Hammer cut a searing portrait of a couple who would go to any lengths to save their newborn from terrorists. 3. Greek-Australian filmmaker Anthony Maras, who makes his feature directorial debut with Hotel Mumbai, was horrified by the terror attacks in Mumbai, but it was the stories of survivors that spurred him to make a film on it. He spent a year on research that included video chats with survivors and studying recordings of intercepted phone calls between the terrorists and the handlers. “Obviously I was heart-broken over the violence and loss of life... But at first I only knew the Mumbai attacks as a series of burning buildings on a TV screen. Then as I watched interviews with survivors, an entirely new dimension of these events opened up for me,” said Maras in the production notes. 5. British-born Dev Patel, who made his acting breakthrough with Danny Boyle’s ‘Slumdog Millionaire’, felt a close connection to Mumbai. The dance finale ‘Jai Ho’ shown in his debut film was filmed in the same station which was bombed by the terrorists. “And so to see that train station attacked, with such a high death toll, where these kind of men just walked in and unloaded automatic gunfire, mowing down so many people, it just was shocking and terrifying,” said Patel in the production notes. According to director Maras, Dev Patel was the first and only choice to play Arjun, a character woven after Maras spoke to several waiters who survived the terrorist attacks. Patel also did his share of research. It was his idea to play a turban-wearing Sikh waiter. He even visited a Gurdwara, Sikh’s temple of worship, to get a grip on his character. Out of the many powerful scenes in ‘Hotel Mumbai’, the scene in which Arjun removes his turban to alleviate the fears of an old white woman is poignant and beautifully enacted. How he breaks down prejudices is wonderfully shown by the actor. *It was Dev Patel who recommended Anupam Kher’s name to director Maras. “I knew Anupam had the right vibe, both in terms of his kindness and as real figure of respect,” said Patel in the notes. * Hotel Mumbai was extensively shot in that vibrant metropolis in India. But the first several smaller interior scenes were shot in Adelaide, Australia, Maras’s hometown. “We were essentially living inside of a manufactured terror attack for 12 to 15 hours a day,” says Hammer about filming ‘Hotel Mumbai’.